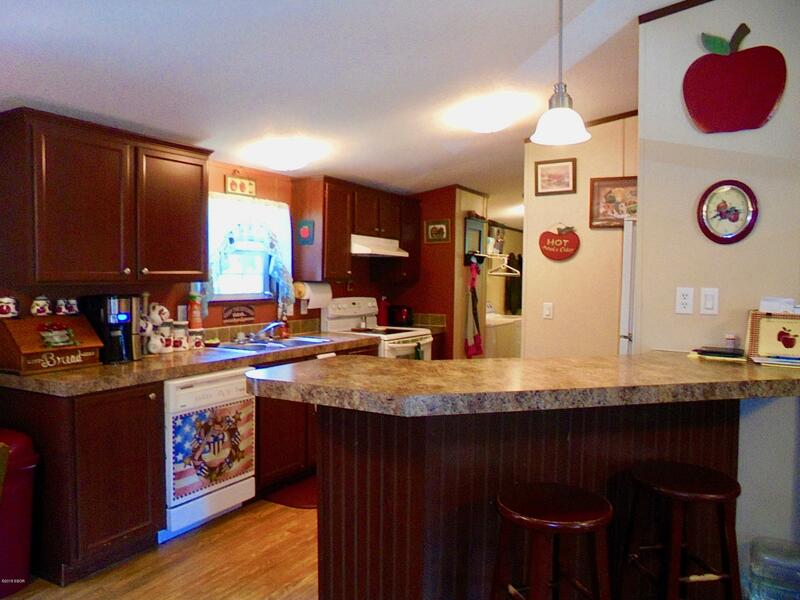 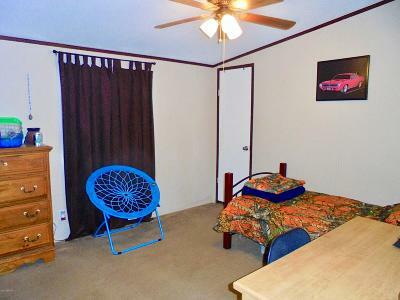 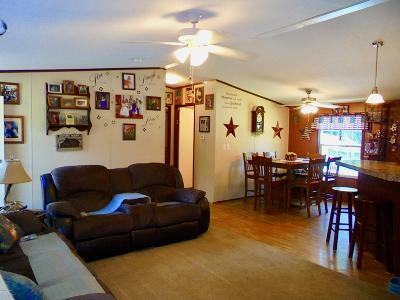 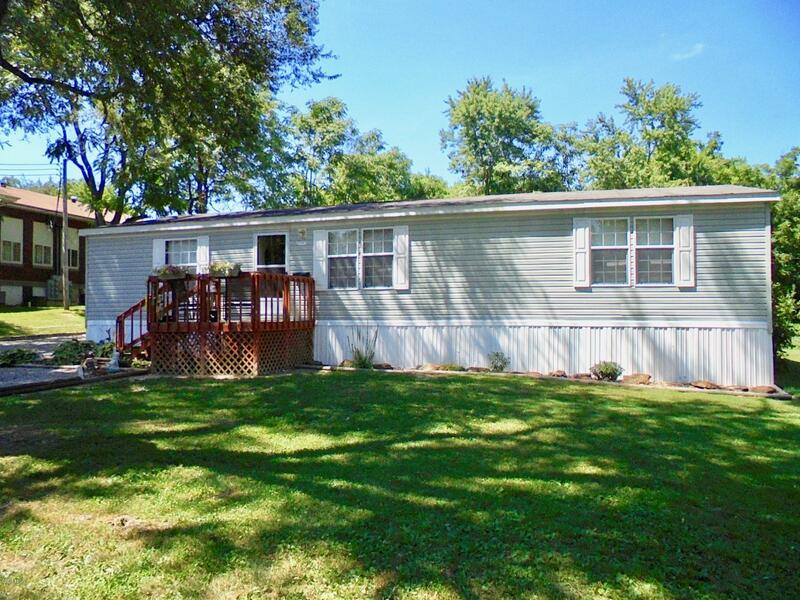 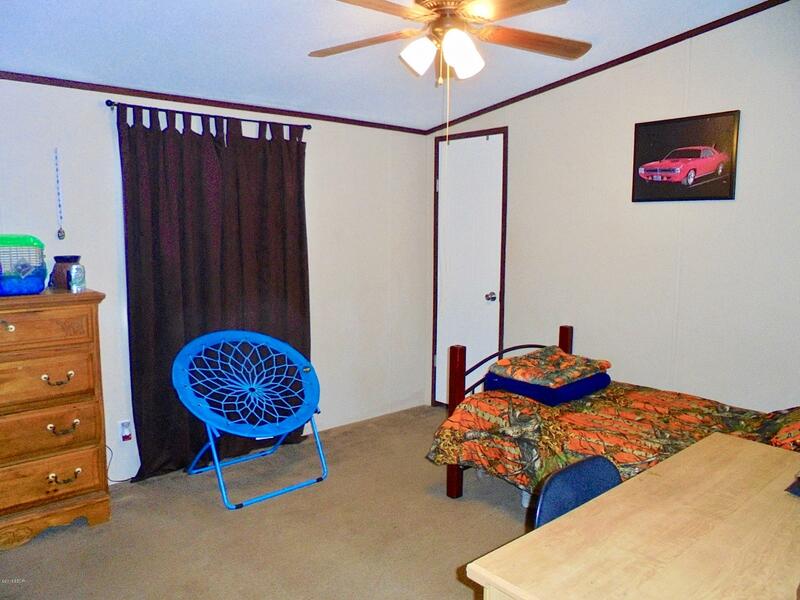 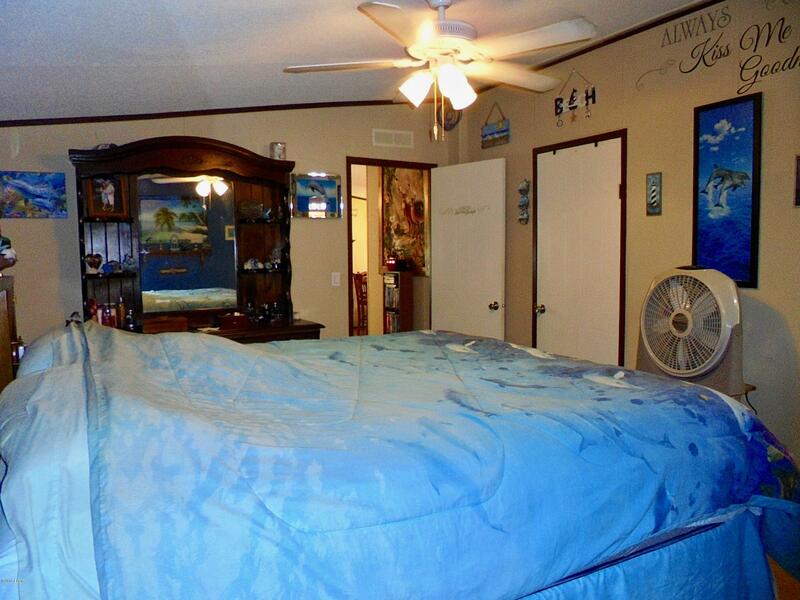 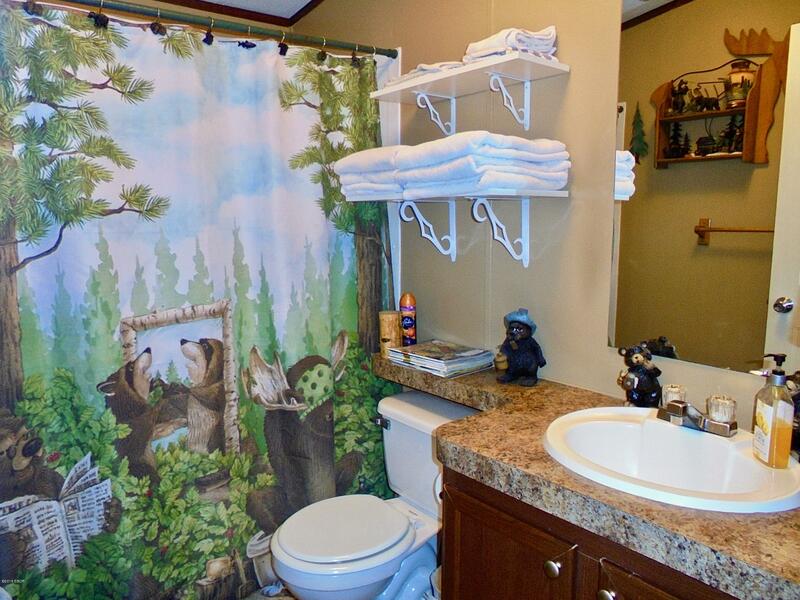 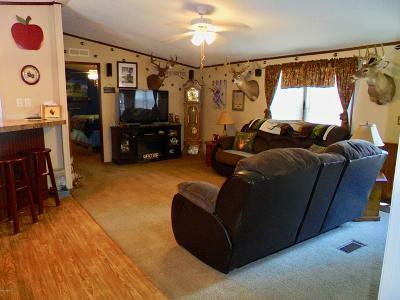 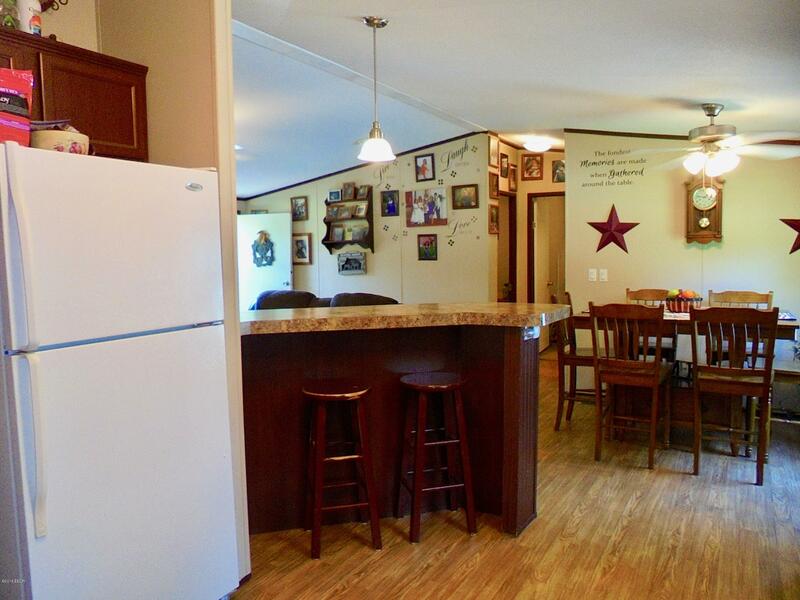 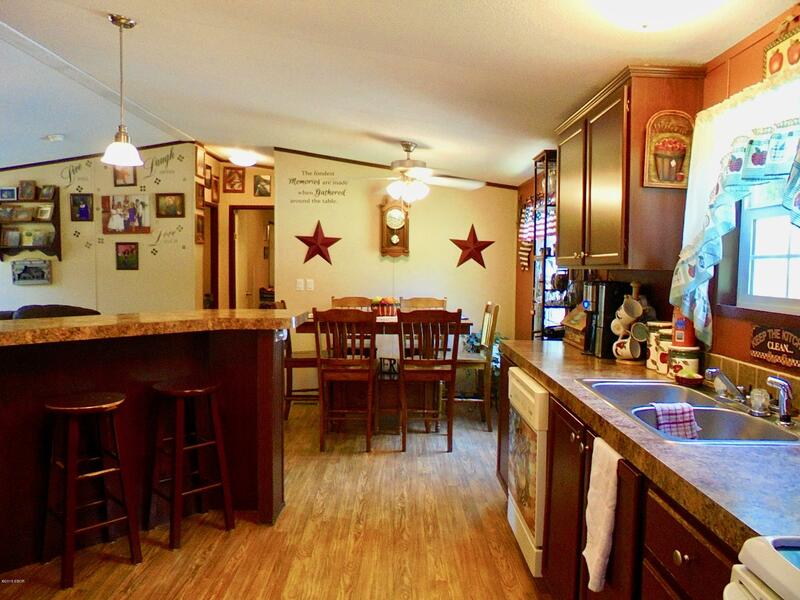 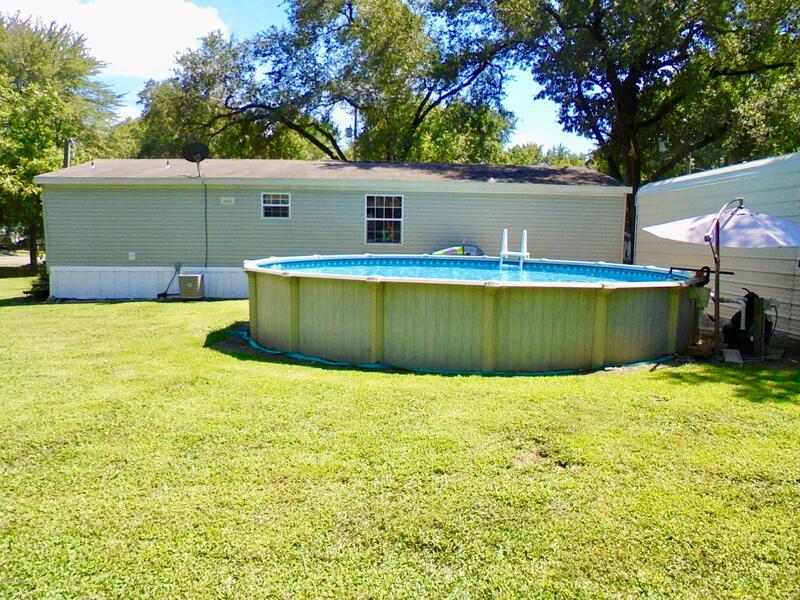 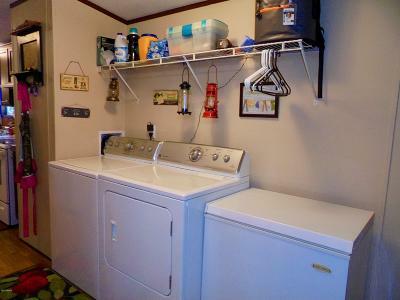 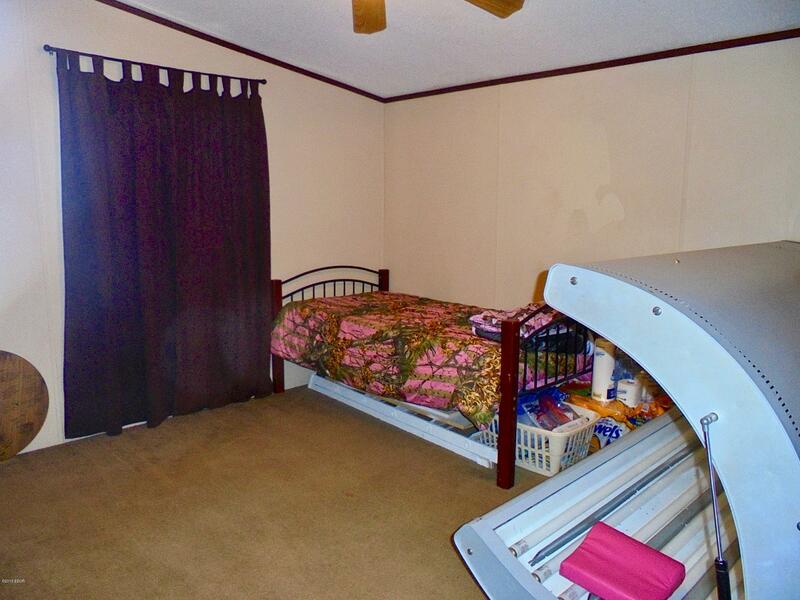 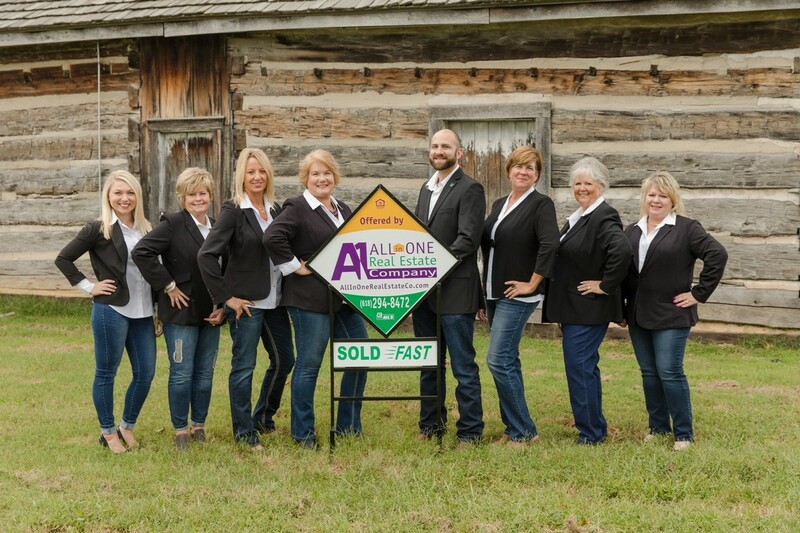 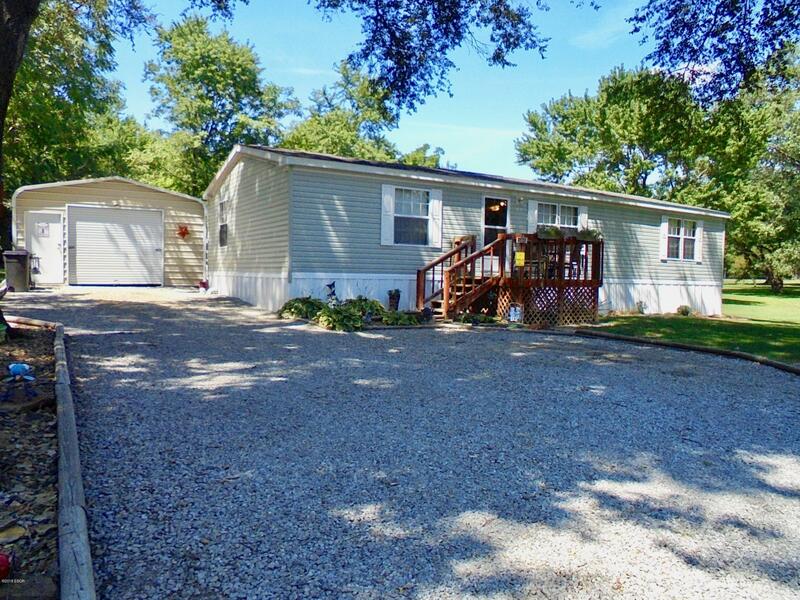 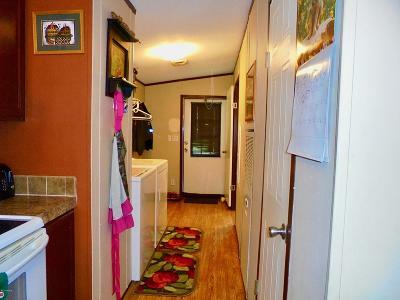 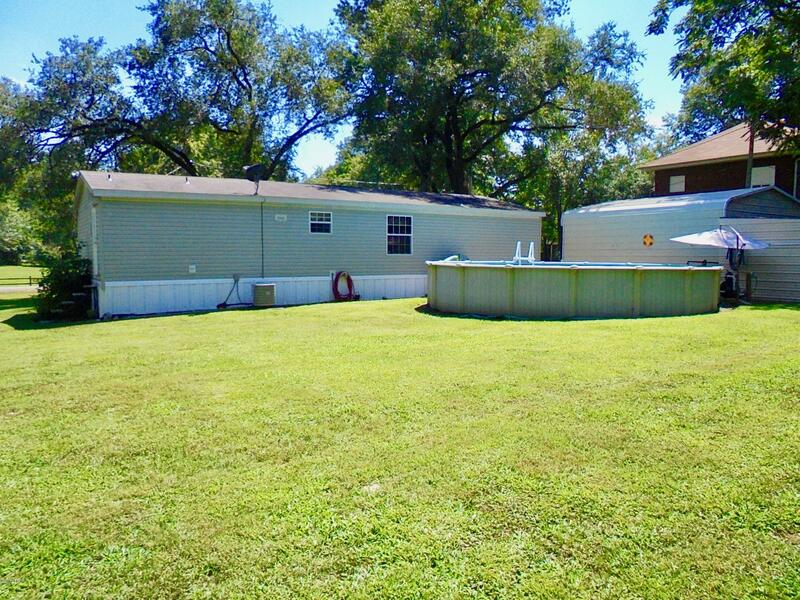 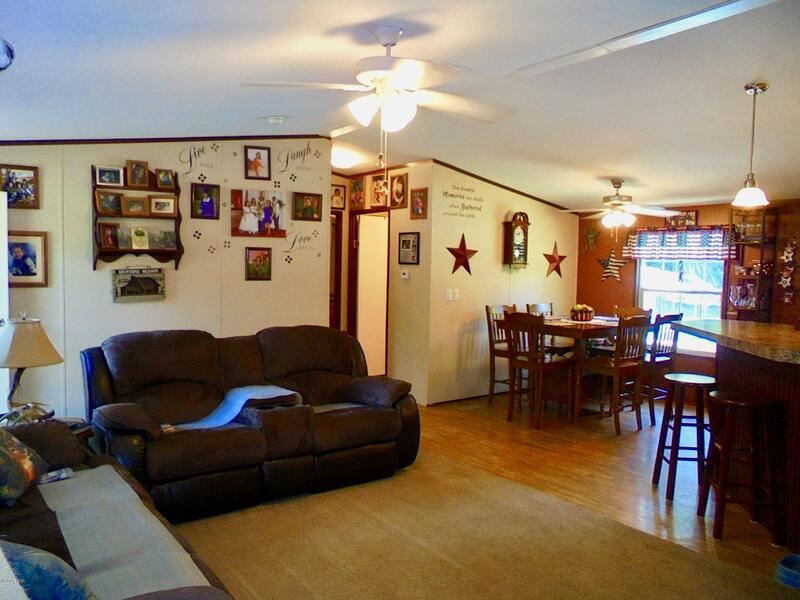 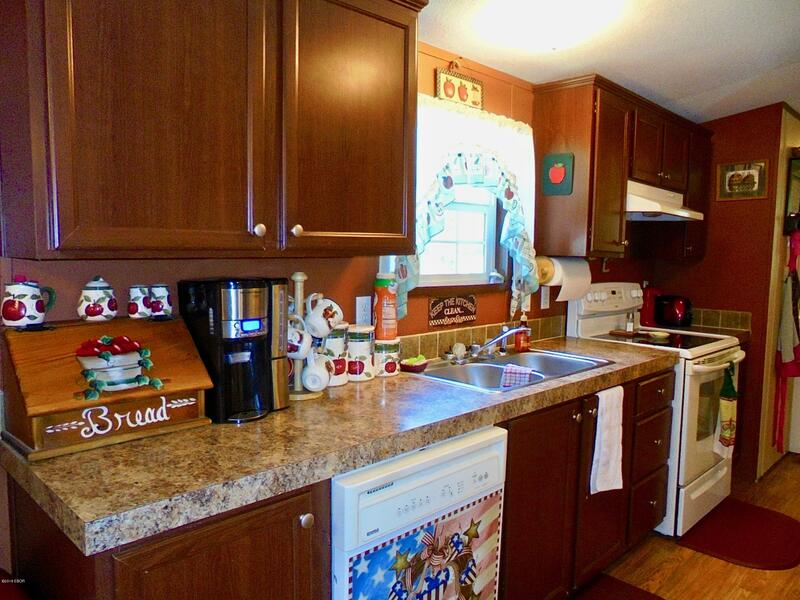 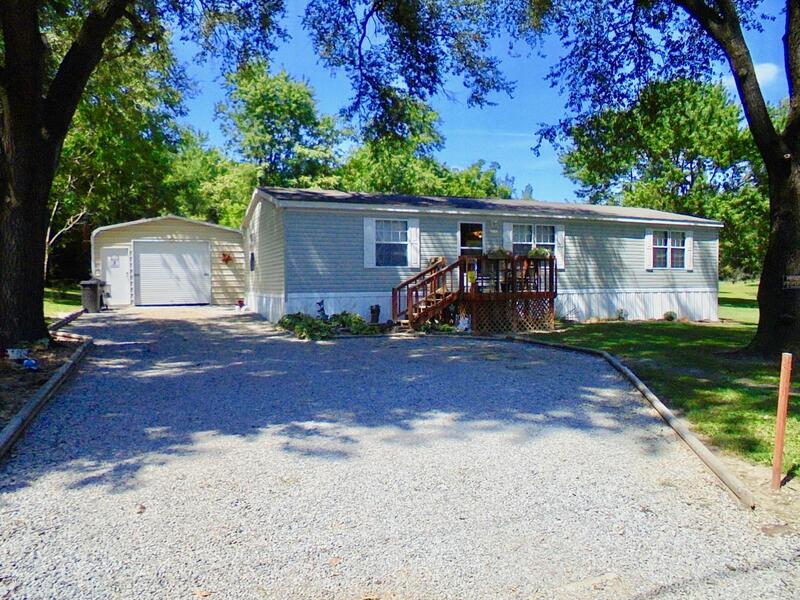 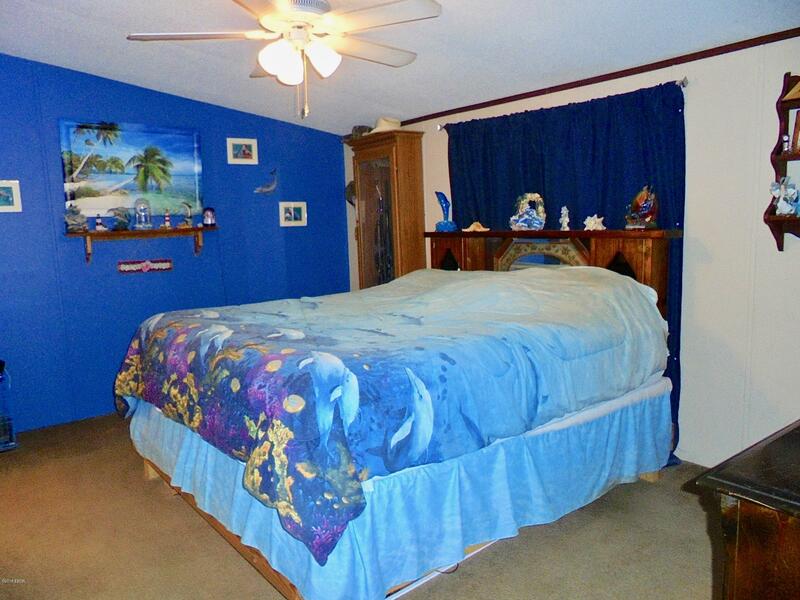 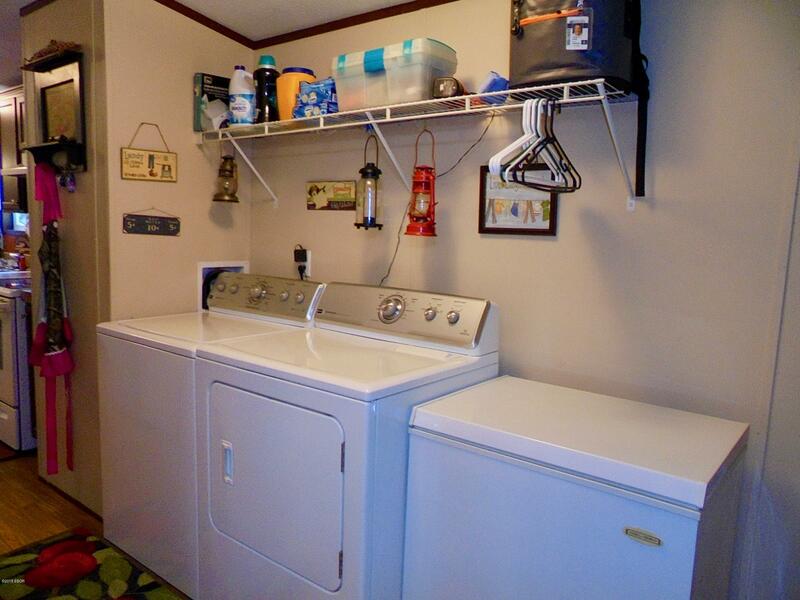 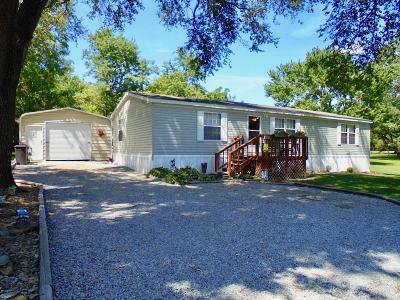 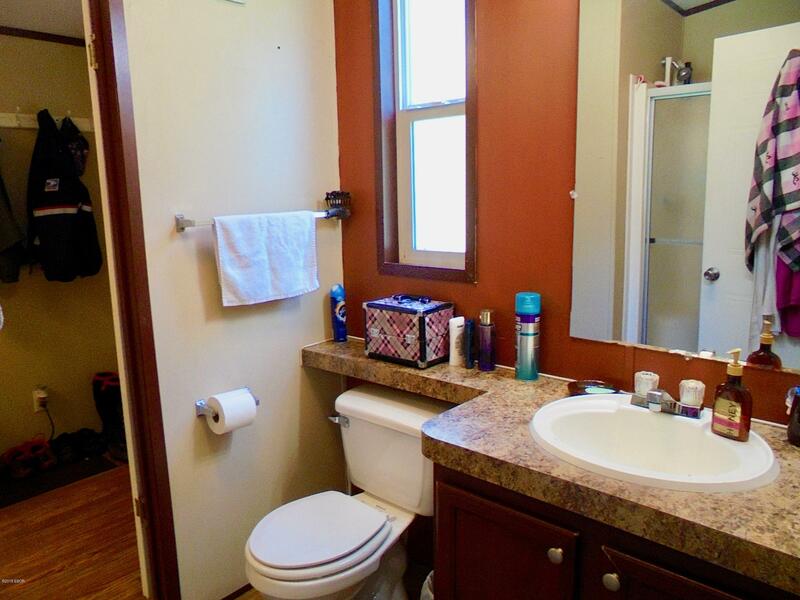 Why pay rent when you can own an updated 3 bedroom 2 bath manufactured home that sits on 3 lots! 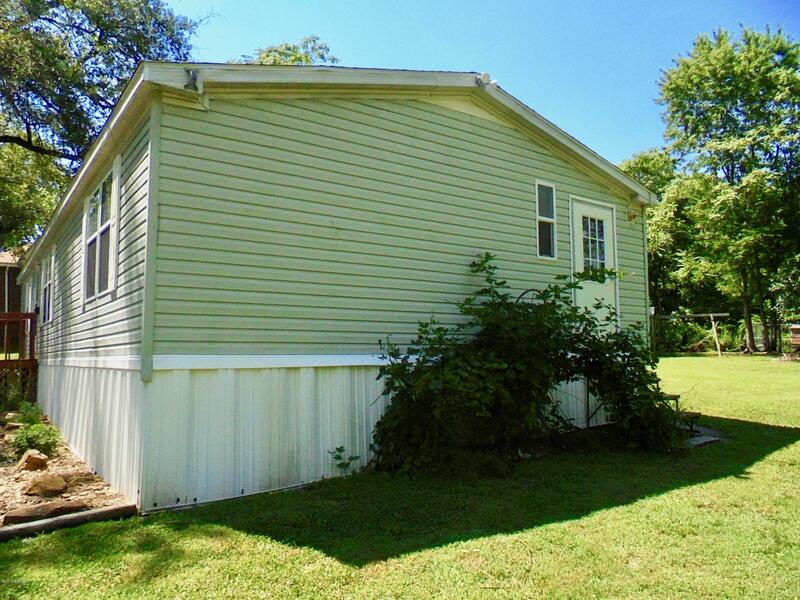 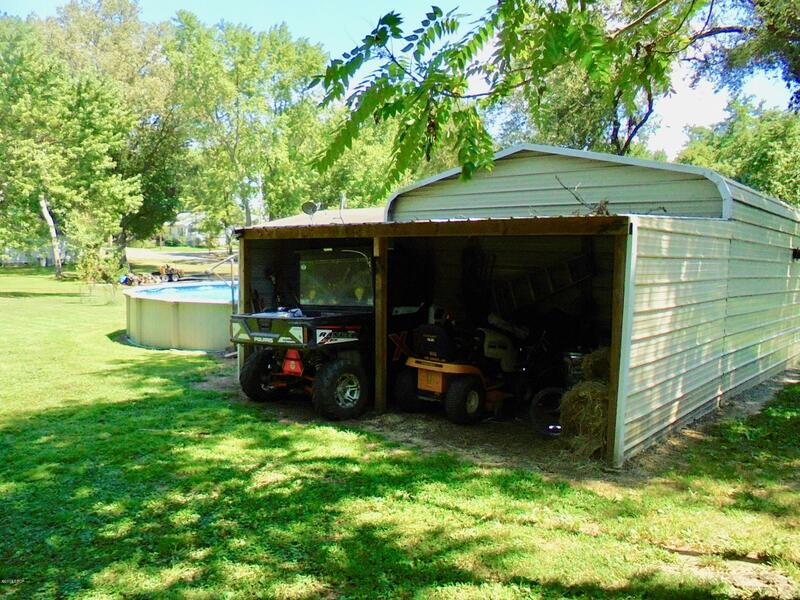 Along with the home there is a detached 18x22 garage that has a wood burner, loft, and a work bench inside. 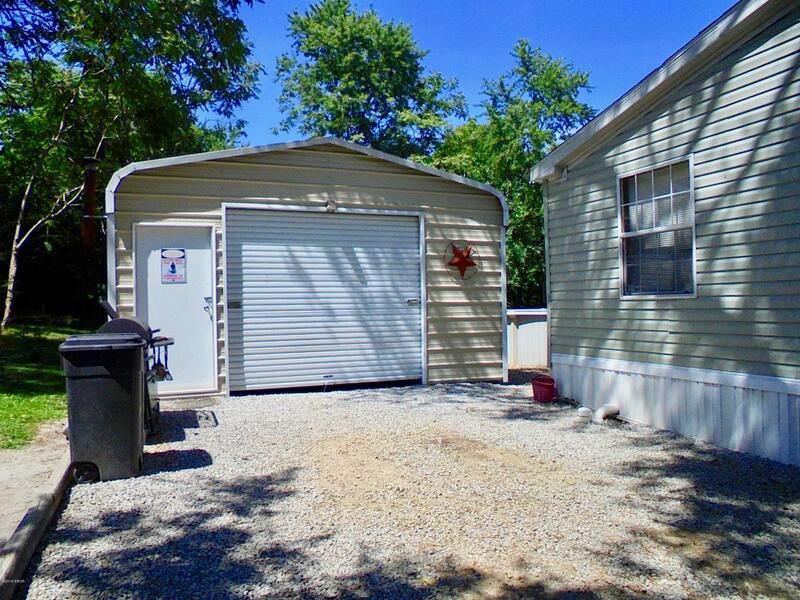 Behind the garage is an added 10x18 lean to for additional storage. 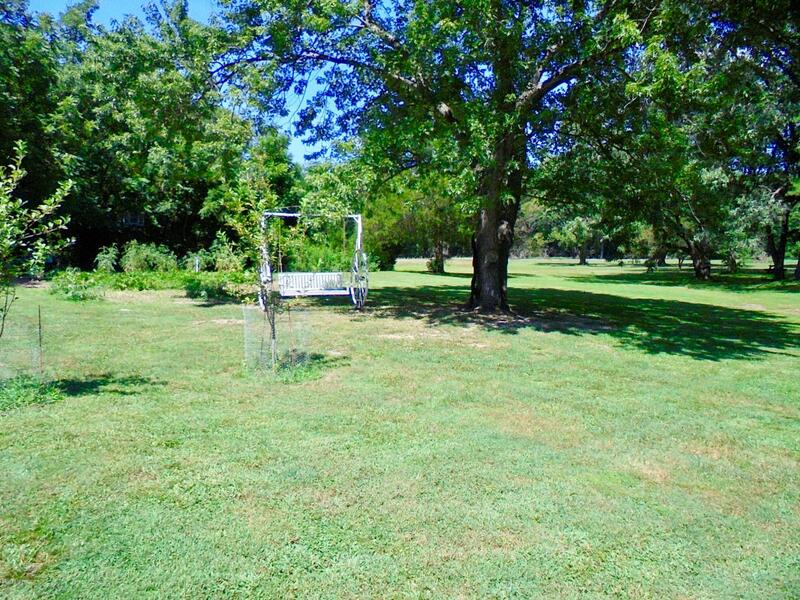 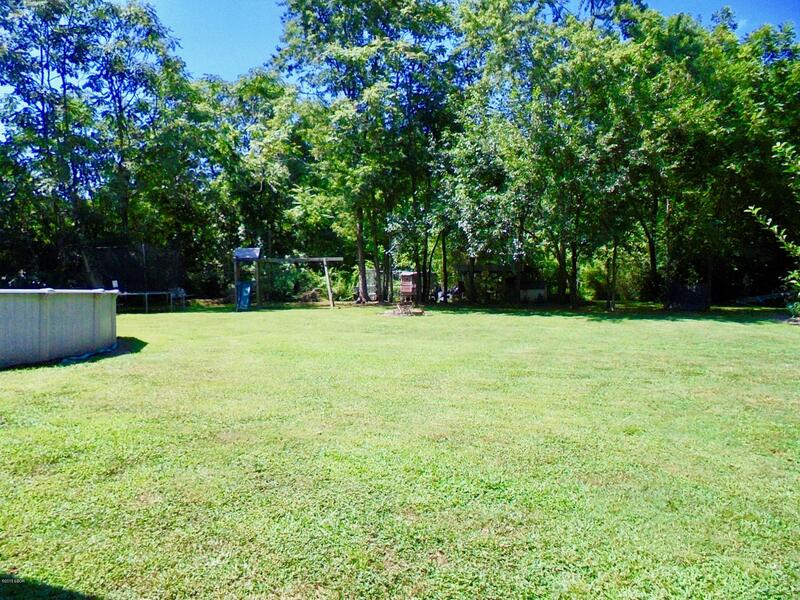 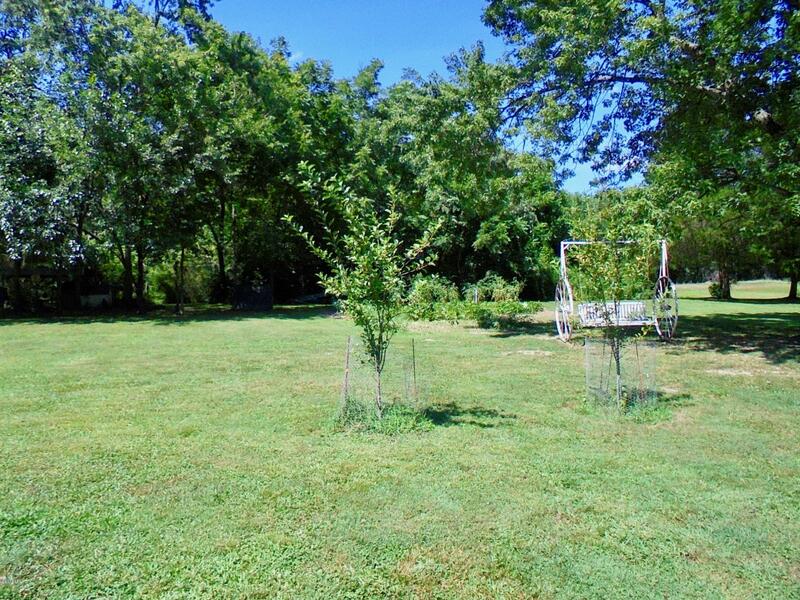 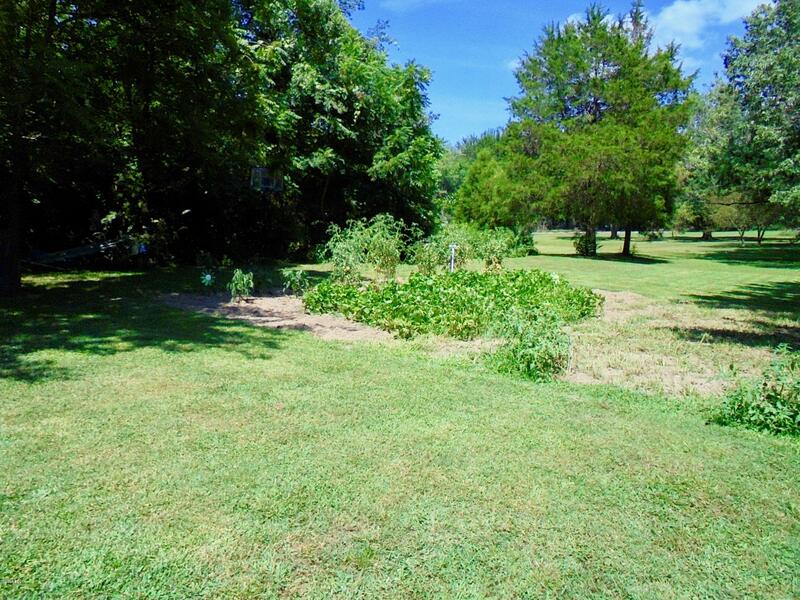 There is a 24' above ground pool, fruit trees and a pen perfect for animals.